← The Scotsman – “News of the World has not Appealed Sheridan Verdict” – Shome Mishtake Shurely? There is an increasing spiral of activity regarding the finances of Rangers FC Ltd. As discussed before, the courts are being asked to consider issues about Rangers regularly. The BBC is poised to show a documentary about the takeover, and has already discussed the issues on Newsnight Scotland and online. Gerry Braiden in the Herald has written informed and insightful pieces as regards developments. After lots of hard and interesting work by, inter alia, the Rangers Tax Case Blog and Phil Mac Ghiolla Bhain, the story of the possibly imminent demise of one of the two giants of Scottish football has come into the public eye. But there are still many twists and turns to go, so I thought I’d try to offer some thoughts re the legal aspects of matters presently arising. Why were Rangers not represented today (18th October) at court? Good question! I have various thoughts but it cannot be as simple as them having run out of money to pay their lawyers, can it? If that is the case, then there would be far more serious consequences should they fail to appear on Friday when Mr Bain’s case calls again. It might simply be the case that Rangers’ counsel viewed the motion by Mr McIntyre as being impossible to oppose successfully. In that event, why spend extra money on having counsel and solicitor attend court? 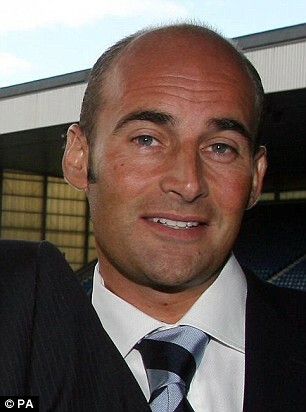 But, as I mention above, I cannot imagine things are so bad that Rangers could not fund an appearance re this today. Might they have decided that opposition to the application would lead to the exposure of more dirty linen? 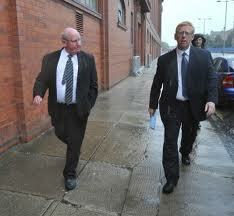 After all, from all reports, Mr McIntyre’s counsel had stated his case at length last week. Therefore, in the absence of opposition, Lord Hodge simply had to consider the same issues as he had in dealing with Mr Bain’s application – firstly, whether Mr McIntyre had a prima facie case, secondly whether there was a real and substantial risk that enforcement of any decree which might be obtained in the action would be defeated or prejudiced by reason of Rangers being insolvent or verging on insolvency, if the court did not grant warrant for diligence on the dependence and thirdly, whether it was reasonable in all the circumstances to grant a warrant, including the effect which that grant may have on any person having an interest. The non-appearance by Rangers can be seen as an implied admission regarding the three parts of the equation. Of most importance is the implicit admission that he has a prima facie case, and this time not one with a counterclaim against it (at least so far). It also seems to confirm that, despite strident comment from Rangers that the decision of Lord Hodge in the Bain arrestment would be appealed, in fact this has not and is not happening. Mr McIntyre’s case, if it follows a similar route to that of Mr Bain, is unlikely to reach a full hearing before next summer. Clearly his hope is that his arrestment will be in place long enough to provide him with some protection, as I will look at below. Arrestments – an arrestment only catches funds in an account when the arrestment is lodged. If an account has £1 million in it today – nothing tomorrow – and £1 million the next day, then if the Sheriff Officers serve the arrestment today, there is success, but if tomorrow, it fails. That is the creditor’s hard luck, and a debtor would often be advised to take steps to put funds beyond the reach of an arrestment, if possible. There is no “punishment” for the debtor for their cupboard being bare when the Sheriff Officers come knocking! One wonders if the Sheriff Officers might pitch up at Rangers’ bank tomorrow (19th October), once the cash takings from tonight’s friendly against Liverpool, are banked. Better to hit the account after those funds are deposited. Alternatively, it might be advisable to wait till just before pay day, when there should be funds in the account. Mr McIntyre is likely to have a good grasp on his former employer’s cash flows, and should be able to advise his lawyers as to the best day to go for the arrestment. In addition, the arrestment could be served upon someone due to pay Rangers money. For example, a TV company or sponsor, could have the funds they are due to pay Rangers frozen before they are paid to the recipient. The Bain and McIntyre arrestments (the latter if successful) are “diligence on the dependence” of ongoing actions, not final decrees, so unlike the HMRC position mentioned below, there is no automatic transfer of those funds possible till after the conclusion of the relevant cases. These actions by the former directors are intended to ring fence funds to meet their claims, if successful. The position about the “ring fencing” has been subject to some discussion. As far as I understand, the position is as follows. The question is, what is “effectual diligence”? S61 (1) (1B), as inserted by S14 of Schedule 5 to the Bankruptcy and Diligence etc. (Scotland) Act 2007 states “For the purposes of subsection (1) above, an arrestment is an effectual diligence only where it is executed before the floating charge, by virtue of which the receiver was appointed, attaches to the property comprised in the company’s property and undertaking”. This refers to the date of crystallisation of the floating charge, rather than the date of its creation. It crystallises, effectively, when it is enforced, by which method the receiver would be appointed. Therefore, as these arrestments have been put in place prior to the floating charge crystallising, the receiver would need the permission of the court to interfere with the arrested funds. So, on one view, the arrestments are useful for Messrs Bain and McIntyre. If a liquidator is appointed however, the arrestments could lose their effectiveness, at least as regards benefiting the claimants. So, if the there is a winding up (i.e. liquidation) within 60 days of the arrestment being lodged, then it gives the arrester no advantage. In that case, the funds go into the general pot, and are distributed to creditors. In respect of Mr Bain therefore, if Rangers survive liquidation until 12th November, he has secured a substantial part of any award which might finally be due to him. 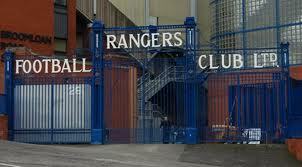 Can the gates of Ibrox repel the tide of financial attackers? If, as has been discussed and assumed, HMRC succeeded in trapping £2.3 million, then this will automatically be paid to HMRC by the bank 14 weeks after the arrestment was carried out. As I get bored with stating, Rangers could agree to let HMRC get their hands on those arrested funds. They are not obliged to wait the 14 weeks. Whilst the sum remains unpaid, interest will be accruing on the debt. Why might they delay paying? It could be to annoy HMRC, but that is never a good idea. Otherwise it can only reasonably be that Rangers think they can defeat the HMRC claim by entering receivership and then liquidation quickly enough to render the arrestment ineffective, but as we have seen, 60 days gives the arrestment effective force against the liquidator. If the company is wound up before the 60 days expire (at the end of this month) then the funds go back into the pot for creditors, and defeat the HMRC preferential claim. From a PR point of view, and in the interests of getting HMRC onside to any extent, one would think they would be willing to hand that amount over. Clearly they have no intention of doing so. Mr Bain is in court on Friday and we may hear more about potential witnesses. I understand that amongst the witnesses for Mr Bain it is likely that Messrs Murray, McLelland and Johnston would be called. That would be three heavyweight witnesses, who, one would suspect, might be less than enthusiastic about Craig Whyte bearing in mind his treatment of them and their colleagues. The 60 day period for the HMRC arrestment runs out on 27th or 28th October. Will things happen before then? Will Rangers try to interdict the BBC from showing this documentary on Thursday? If not, their PR barrage has already annoyed many, as they arrogantly bar co-operation with the BBC. I might not get my detailed thoughts about freedom of speech and prior restraint down on paper before the programme goes out, but generally, unless the issue is one to do with national security, the courts are reluctant to block programmes before transmission. The remedy for actionable wrongs in such a broadcast is not to stop the show, but to allow an action for damages for defamation. Great post Paul, I stumble across a piece on Directirs responsibilities regards Wrongful Trading……. It is only relevant with disregard to “expert” advice if given and ignored, RFC are confident they followed expert advice to the letter. The better sourced leaks from Drumsheugh Gardens say it is 75-25 in RFC’s favour at this time, and as we are all aware time will be the judge, as in all things. It is very true to say that time will be the judge, however, as matters presently stand, Lords Hodge and Menzies and the First Tier Tribunal (with the Upper Tribunal and then Inner House perhaps to follow) are being judges on Rangers’ situation. My view, based on what I have read, seen and heard, and I am happy to accept that I may be wrong (as I often am) is that through fault/oversight/bad advice or some other cause Rangers were in a perilois situation financially. Sir David Murray had tried for years to seel the Club to a “true believer” but without success. Mr Whyte is a businessman. Businessmen want to make profits. He has, apparently, a history of moving in to distressed companies, either to turn them round and sell them off at a profit, or to liquidate the assets to make a profit. Each is perfectly legitimate. However, as we have seen, football clubs are not like other businesses and I suspect that he did not expect such scrutiny of his plans (perfectly legal though they were). 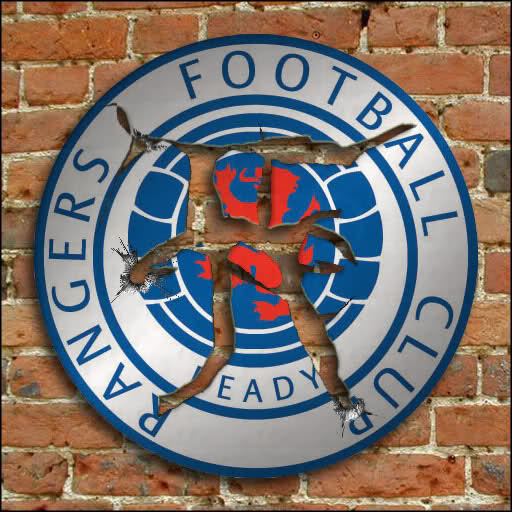 The question of who is ultimately to blame should Rangers fail (and that is not inevitable) is one which I am sure would be debated across football grounds, supporters clubs and possiblt courts for years to come, and I am happy to step back and let others offer their views. 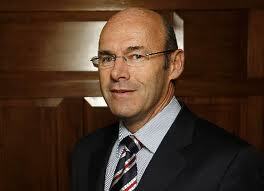 However, the question of who is to blame is irrelevant to the outcome for Rangers of their financial woes. The question as to blame for any perceived or alleged wrongdoing is indeed the crux, if any has taken place. There is very learned opinion that HMRC have failed to understand their own rules and legislation, that would not be a first, Justice as always must be seen to prevail in fact not only as window dressing. I’d be interested to know why your source would believe RFC (players and perhaps other employees) were tax exempt? Good question – hopefully he might offer us an answer! I do think that RTC has still got a lot more mileage in him yet! Just as a matter of interest Paul, heard about an hour ago that Malcolm Gammie is less than enamoured by HMRC and their strategy, could be idle tittle-tattle but M’lud is above that sort of thing in my experience. Little surprise that London has got involved, thank the Saints that Rugby is less tainted by intrigue. What bearing or interest does Gammie have in the R.T.C? I can only assume he is, but “louie” seems to have a lot of insider knowledge of matters – much more than me! Perhaps he’d care to enlighten us more? Please! Excellent sypnosis Paul, reflecting other informed analysis I’ve read on the matter. Good to see you applying your keen legal mind and knowledge to the issue, which like many others, I have been following closely for some time now. On a more personal note; I knew away back in those early halycon school days in Mrs Anderson’s and Mr Quail’s latin classes that you would one day be a successful lawyer – at least I got something right…. if not the latin! Good to hear from you Brian – thanks for reading. That takes me back – Mr Quail’s classroom with all the potted plants which on a hot summer day was like a hot house! I’ll drop you an email – hope you are doing well!